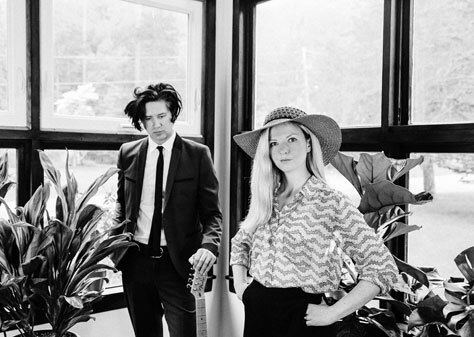 We’re delighted to be working with Still Corners for the first time! In 2010 Still Corners released singles Don’t Fall in Love/Wish on 7-inch through British psychedelia label the Great Pop Supplement with an accompanying video for Wish directed by Lucy Dyson. Selling all 700 copies in a single day saw Sub Pop take due notice and quickly sign the group. Their first full length Creatures of an Hour was released by Sub Pop in 2011. By the time of their second record in 2013, Still Corners had shifted focus from ’60s influences in favour of a slicker, more ’80s-sound inspired by Roxy Music’s Avalon. Another Sub Pop release, Strange Pleasures, includes the hit single Fireflies (Pitchfork, Best New Track) and sleeper hit, The Trip. Black Lagoon, the lead single/video, has the band on a journey from the desert to the ocean in search of a lost eden. Filmed over a month in Texas, Arizona and California and shot on a small handheld cinema camera, the band travels across America in a white mustang convertible searching and reaching into the unknown. Slow Air will be released on Wrecking Light Records on 10 August and the band will be touring in North America and Europe this autumn. Tour support comes from Bella Union‘s Psychic Markers. Psychic Markers – consisting of Alannah Ashworth, Lewis Baker, Steven Dove, Leon Dufficy and Luke Jarvis – are a hodgepodge bunch made up of members of various other bands and with a geographical backdrop that stretches countries as well as counties. So it makes sense that their music would be eclectically emblematic of such sprawling backgrounds. Their sophomore album Hardly Strangers – much like the band themselves – is an assorted affair. 1950s-tinged doo-wop nestles up alongside lush cinema-influenced soundscapes; while flashes of neo-psychedelia take pop hooks and stretch them out into hypnotic and elongated jams befitting of 1970s Germany before pushing them into further cosmic realms.